Are you aware of the fact that most people actually feel ashamed of themselves to some degree? Think about it – is there something you have done or an opinion you have, that you just don’t want to tell somebody, in fear of their judgement? Now you might say “Yeah, it’s not a cool feeling to be judged!” No, it isn’t, but the feeling YOU get when someone has an opinion about you, is shame. And you only get it because deep down, a part of you agrees with the people judging you. So because YOU already have judged yourself and are shameful, you hide bits and pieces of yourself from others. My guess is, that 85% of all people are like this. The other 15% are either psychopaths OR they have made a conscious choice to just be whoever they are – all included. And they have decided to not let other people’s judgement have any influence on how much they love themselves. Imagine that. Close your eyes, take a deep breath and feel what it would be like to stand so tall in your own light, that you had no shame in you. Just love for everything you are. Cherish that feeling. You are allowed to make it your goal. Be giving love and accept to everything that is you, you will not be triggered or shameful by other people’s words. And there’s a trick to getting rid of shame. You wanna know what it is? Say it. Talk about it. Simply tell your close ones, who you love and who you feel love you back about your shame. And breathe. And cry. Feel the shame. 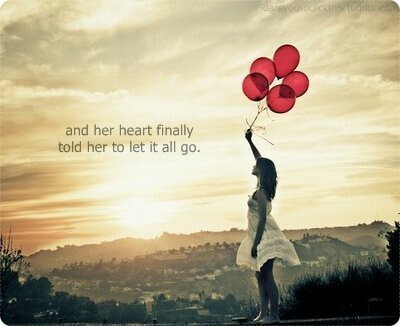 And then let it go. Getting to actually doing it can be hard, because we have an innate fear of being pushed away. But the people who love you – shouldn’t they love you despite your flaws? Don’t you love them despite their flaws? Once you’ve tried it, you’ll know the amazing power of putting words to your shame. You’ll see and feel how freeing it is. Your life will never be the same. Because other people’s opinion about you will lose it’s power. "In How Not to Die, Dr. Michael Greger, the internationally-recognized lecturer, physician, and founder of NutritionFacts.org, examines the fifteen top causes of death in America—heart disease, various cancers, diabetes, Parkinson’s, high blood pressure, and more—and explains how nutritional and lifestyle interventions can sometimes trump prescription pills and other pharmaceutical and surgical approaches, freeing us to live healthier lives." "OMG! Nicaragua? Isn't it dangerous???" Here, you can see our street at night. Not much going on besides a beautiful sunset, kids playing outside and a birthday party across from our house. Get the #1 tool for changing your life NOW!